Whiskey coloured vinyl. Nick Cave and Warren Ellis, composed, played and produced a compelling and intense soundtrack for director Andrew Dominik's savage tale of the true west. The score captures perfectly the charismatic and unpredictable nature of its central protagonist. 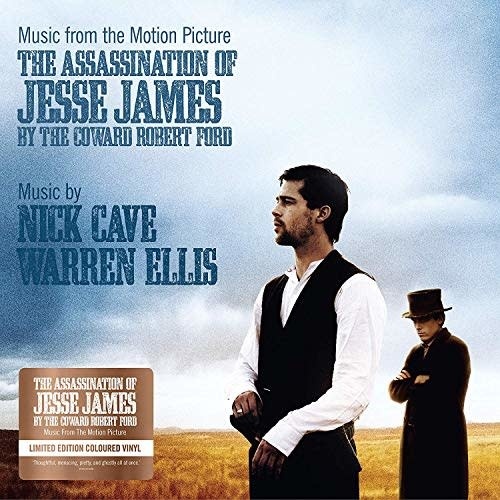 Like the film, Cave and Ellis' music cuts through the mythic figure of Jesse James to reveal the complex, contradictory man beneath. Daring and passionately delivered, Cave and Ellis' beautiful soundtrack retains its captivating power even without the benefit of Dominik's images.